Omar Lopez-Chahoud has been the Artistic Director and Curator of UNTITLED. since its founding in 2012 and will lead the curatorial team of UNTITLED. 2015. 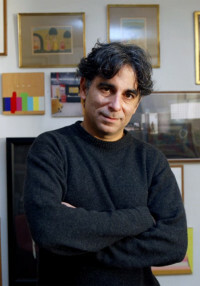 As an independent curator, López-Chahoud has curated and co-curated numerous exhibitions in the United States and internationally. Most recently, he curated the Nicaraguan Biennial in March 2014. López-Chahoud has PARTICIPATED in curatorial panel discussions at Artists’ Space, Art in General, MoMA PS1, and the Whitney Museum of American Art in New York City. He is currently a member of the Bronx Museum Acquisitions Committee. López-Chahoud earned MFAs from Yale University School of Art, and the Royal Academy of Art in London.